Mission First Housing Group is a family of 501(c)(3) nonprofit organizations working together to ensure everyone has a safe, affordable place to call home. Mission First Housing Group envisions communities where everyone can live independently in affordable, safe and sustainable homes with access to resources and opportunities in their community. Mission First Housing Group’s mission is to develop and manage affordable, safe and sustainable homes for people in need, with a focus on the vulnerable. We ensure our residents have access to resources to help them live independently. 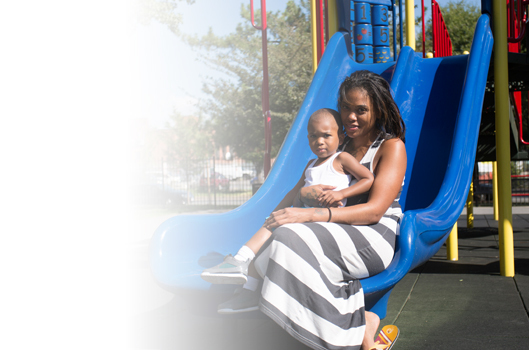 We deliver housing that provides long-term benefits to residents and neighborhoods, alike. We believe that everyone deserves to live in a safe, affordable, sustainable home. We believe that by working together, we can help more people. We believe it’s our responsibility to carefully steward the resources entrusted to us by our funders and partners on behalf of our residents. We strive to be a leader in the field of affordable housing. We expect to be held accountable by many people: our residents, Board of Directors, employees, partners, funders and vendors. What began 25 years ago as a joint venture between the City of Philadelphia, HUD and the Robert Wood Johnson Foundation has become a full-service, nonprofit affordable housing organization developing high-quality, green community assets across the Mid-Atlantic region. Mission First’s original purpose was to provide for the housing needs of adults living with chronic mental illness. 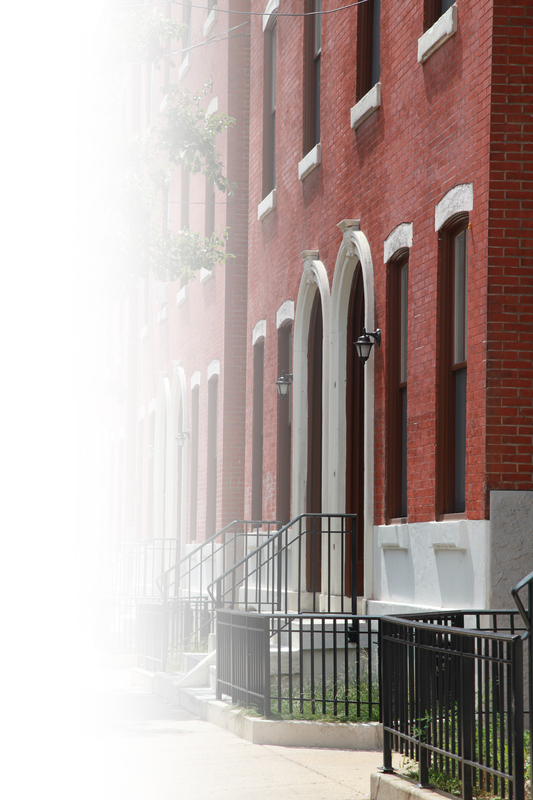 In June 1989, Mission First acquired its first property – a South Philadelphia duplex. Our first resident moved in to an apartment there October 1, 1989 and lived there for 22 years. Over the course of our history, Mission First employed a number of key strategies and innovative practices to support its expansion, including incorporating an affiliated nonprofit entity to lease, manage and maintain its properties and coordinate resident services; leveraging funding to acquire property; assembling complex financing sources; and developing a successful model for utilizing mergers, acquisitions and friendly take-overs to help stabilize troubled affordable housing projects and expand its portfolio. Having developed a successful model for providing safe, quality, affordable housing for a particularly vulnerable population, Mission First sought to expand its model to new geographies and serve others in need. Mission First’s footprint is now the entire Mid-Atlantic region and it now serves a diverse resident population that includes families, veterans, survivors of domestic violence,seniors and individuals with disabilities. Today Mission First provides safe, affordable, sustainable homes to more than 4,000 people in over 3,300 units. Rob provides in-house counsel on real estate development and financing, corporate structuring, landlord-tenant issues and general corporate oversight and communications. His responsibilities include oversight of all real estate, loan, low-income housing tax credit funding transactions, and related legal matters. Rob also serves as a corporate officer to Mission First Housing Group. Prior to joining Mission First in 2003, Rob worked in private practice at Duane Morris, LLP and at Spector, Gadon & Rosen, P.C., concentrating in real estate, bankruptcy and reorganization and corporate law. Rob holds a Bachelor of Science degree in Consumer Economics and Housing from Cornell University and a Juris Doctor from Cornell Law School. Cecilia handles annual and interim financial and cost certification reporting to all federal, state and local funding sources as well as to the limited partners in all tax credit limited partnerships. She also provides tax reporting and compliance for all owned and controlled entities, and manages the accounting and compliance teams. Prior to joining Mission First in 2011, she worked for a regional public accounting firm where she specialized in accounting, auditing and consulting services for not-for-profit, real estate and distribution companies. In addition, she served as Director of Finance for a commercial construction company in the Philadelphia area. Cecilia graduated from Clarion University with a Bachelor of Science in Accounting and holds a certified public accounting license in the Commonwealth of Pennsylvania. Sarah is responsible for managing development projects, building client relationships and overseeing the company's day-to-day development operations. To date, she has closed more than $200 million worth of deals during her career and has numerous projects in development. Prior to joining Mission First, Sarah spent two years working for the Community Banking Group at Fleet Bank in Boston. There, she originated more than $10 million in investor-owned real-estate transactions in targeted CRA markets, creating and preserving 600 units of affordable housing in the Boston market. Sarah also managed the City of Boston's multi-family rental and homeownership programs including HOME, CDBG and the Neighborhood Housing Trust. Sarah holds a Master of Business Administration from Boston University and a Bachelor of Arts in Urban Studies from the University of Pennsylvania. Mark is responsible for identifying new development opportunities, expanding Mission First into new geographic markets, working with key local partners and securing the necessary financing and local approvals necessary for these affordable housing developments. In his role, he also collaborates with the Director of Strategic Investment on the development and implementation of the fundraising and communications strategy. Prior to joining Mission First, Mark worked for 19 years as a consultant for Fairmount Ventures where he assisted both for- and not-for-profit developers with the financing of affordable and special needs housing. He helped procure over $300 million in financing to help create 2,000 units of affordable housing. In addition, at Fairmount, he advised nonprofit and governmental agencies on a range of economic development and public policy issues. Mark has a Master of Business Administration from the Wharton School of the University of Pennsylvania and a Bachelor of Arts from Brown University. He currently serves on the boards of Cheltenham Sports and the Hassel Foundation. Sue manages projects in the Philadelphia region, coordinating the activities of internal and external members of the development team to ensure projects move through predevelopment and development to completion as smoothly as possible. Sue is involved in determining the feasibility of new opportunities, securing project financing, interacting with public sector representatives, obtaining approvals, closing with all funding sources, and working to ensure development is completed on schedule and on budget. Sue represents Mission First in various external forums including conferences, panels, and professional organizations. Prior to joining Mission First, Sue was at an affordable housing development consulting firm where she supported a broad range of clients—nonprofit and for-profit—to conceptualize and implement affordable housing and other community development projects from start to finish. Sue also worked at a leading community development financial institution, where she managed the affordable housing group, oversaw technical assistance and consulting activities, served as a housing lender. Sue is a graduate of the Wharton School of the University of Pennsylvania. As Senior Development Manager, Elizabeth oversees project feasibility, predevelopment, financing, and construction, as well as fulfills all project regulatory requirements for properties. Prior to joining Mission First, Elizabeth worked in the environmental investigation and remediation field, aiding in the redevelopment of brownfield properties in the Chicago area. Elizabeth has also worked with the New Jersey Office of Management and Budget and the Oregon Department of Transportation, specializing in policy and performance analysis. Elizabeth holds a Bachelor’s degree in Environmental Policy from Duke University, and dual Masters’ degrees in Public Affairs and Urban and Regional Planning from the Woodrow Wilson School at Princeton University. Christopher Everett joined Mission First Housing Group as a Development Manager in summer 2017. Christopher works on all phases of real estate development from acquisition and conceptual design through lease up and stabilization. Christopher's experience includes the development and management of a wide variety of affordable and market rate residential projects throughout the mid-Atlantic secured through both local and federal resources, including: Low Income Housing Tax Credits, Housing Production Trust Funds, Community Development Block Grants, and Project-Based Section 8 contracts. His expertise includes market analysis, community planning, design, construction management, budgeting, marketing and sales, permitting, and real estate finance. Prior to joining Mission First, Christopher word at the Community Preservation and Development Corporation as a real estate development officer working on and completing several affordable multi-family projects throughout the Commonwealth of Virginia totaling more than 400 units. Christopher holds a Juris Doctorate from The George Washington University Law School and a Bachelor of Arts in Political Science from Villanova University. Catherine manages a wide range of construction projects out of Mission First’s Philadelphia office including out-of-ground, adaptive reuse and substantial renovations through all phases of a project from concept to turnover. In this role, she is responsible for pre-construction and construction activity throughout a project’s life cycle including: identification of scope and budget, RFP management, construction team identification and management, permitting, price and contract negotiation and construction oversight and scheduling. Prior to joining Mission First, Catherine worked as a project director and account manager at a firm providing design and project management services in Philadelphia. At this firm, she managed multiple internal teams and provided a range of design and construction consulting services with an emphasis on LEED consultation. Catherine has experience in design, construction, development, and project management in California, New York City, and Chicago, and is a LEED Accredited Professional as well as a member of many sustainable building councils and associations. Catherine holds a Bachelor of Science from Purdue University as well as a Certificate in Interior Design from Parsons School of Design and a Master’s of Science in Sustainable Design from Philadelphia University. Moira is responsible for developing and overseeing implementation of Mission First’s fundraising strategy, seeking to broaden Mission First’s base of philanthropic support. She contributes to organizational strategic planning and oversees marketing and communications activities geared toward raising the organization’s profile and broadening its stakeholder network. Prior to joining Mission First, Moira worked for twelve years as a partner in a small business providing consulting to Philadelphia-area nonprofits in the areas of fundraising and organizational development. Moira graduated with a Bachelor of Arts in Sociology from the University of Wisconsin. Jessica is responsible for real estate project execution from feasibility analysis and predevelopment through financing, construction, and stabilization of affordable housing properties in the greater Philadelphia region. Prior to joining the Development team in August 2018, Jessica served as the Director of Asset Management, developing and monitoring short and long-term strategies for assets owned and managed for Mission First. As the primary point of contact for investors and lenders of stabilized assets, she was responsible for key analysis and reporting of financial and operational metrics, budget variances, escrow and reserve account monitoring, energy consumption, real estate taxes, program compliance, and physical conditions. Before joining Mission First, Jessica worked as a Senior Financial Analyst for both Fannie Mae and Vanguard, where she developed frameworks for Key Performance Indicators, performed strategic business case analysis, competitive analysis, as well as developed annual and long-term financial plans. Jessica is a Certified Housing Development Finance Professional with the National Development Council, a Certified Property Manager candidate with the Institute of Real Estate Management, and a graduate of Vanguard’s Acceleration into Financial Leadership Program. She holds a Bachelor of Arts from the University of Pennsylvania in Political Science. Heidi is responsible for developing and overseeing the operations of Mission First’s portfolio in Philadelphia. She also oversees the financial operations of Mission First’s low income housing tax credit projects in Philadelphia; all activity related to the Philadelphia Housing Authority; and the maintenance department in Philadelphia. Prior to joining Mission First in 2001, Heidi worked in commercial and residential property management as the Assistant Controller for properties in Philadelphia, Pittsburgh and New York. Heidi holds a Bachelor of Business Administration from Pierce College, a Master of Science in Business Management from Capella University, a Master of Science in Non Profit Management and Leadership from Capella University, and the Lean & Six Sigma Green Belt Certification from Rutgers University. Heidi is pursuing the Certified Property Manager title through IREM. 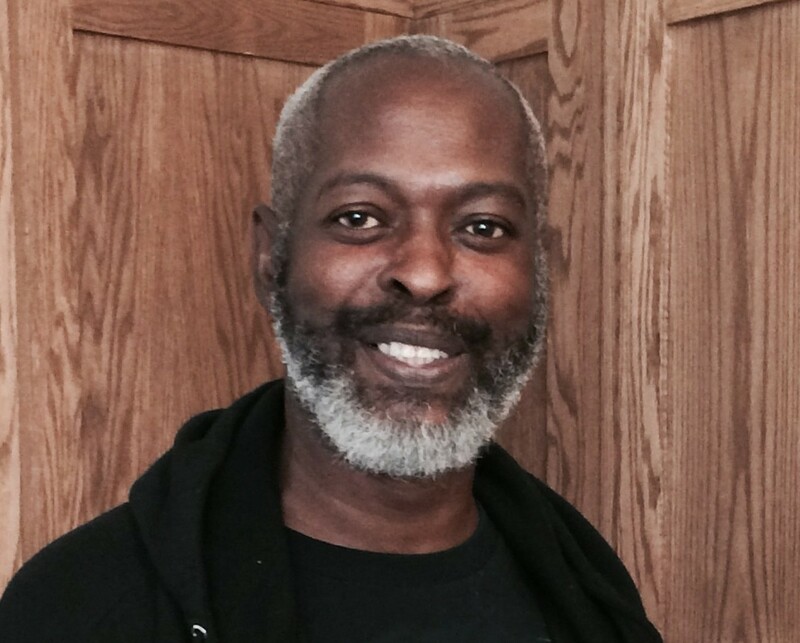 John joined Mission First in June 2013. In his role, he is responsible for the daily maintenance operations for the district 1 section of the portfolio, this includes over 2000 units in PA, NJ, and DE. John has over 30 years of experience in the construction and property maintenance fields. John holds certifications with Temple University Real Estate Institute, The Pennsylvania-Delaware Affordable Housing Management Association, IREM Institute of Real Estate, and OSHA. He also is currently enrolled in The American Home Inspection Training Institute. Clare is responsible for ensuring Mission First’s compliance with the requirements of all funding sources and local partners, including LIHTC, HUD Affordable Housing Programs, HOME funds and Federal Home Loan Bank Affordable Housing Programs, among others. Clare oversees all aspects of the Compliance Department for the Philadelphia office, including leasing, initial and annual recertifications, and ongoing reporting to investors. Clare also oversees the administration of the Mainstream Section 8 Housing Program for persons with disabilities, which provides rental subsidies to 50 disabled households on an ongoing basis. Prior to joining Mission First Housing Group, Clare worked with a local Mental Health clinic in Norristown, PA serving senior citizens with mental health needs. Lisa is responsible for monitoring the performance of all owned and controlled properties from acquisition to construction, and stabilization. She interfaces with the property management department on all operational issues and deadlines, including annual budgets, payables, contracts, and maintenance issues. Lisa maintains completion schedules of capital improvements in conjunction with lender timelines and funding requirements and manages reserves. Prior to joining Mission First in 1997, Lisa worked as an office coordinator for a design/build architecture firm in Philadelphia where she was responsible for zoning and permitting process, and coordination of projects under construction. Lisa graduated from Temple University with a Bachelor of Science in Geography and Urban Studies. Sue oversees the development, implementation, and use of technology throughout the organization, working closely with all departments to assess and address departmental and employee needs. Sue works closely with Mission First’s technology-related vendors and department heads to assess need and assure that the organization’s technology infrastructure is developed and refined to support ongoing growth. Prior to joining Mission First, Susan was a Computer Administrator and Legal Secretary at Campbell Soup Company, where she reported directly to the Corporate Secretary and performed troubleshooting for the Legal Department. Susan also served as liaison to the Management Information Services Department, performed in-house employee training, and evaluated all proposed software. Susan is certified by National Affordable Housing Management Association as Specialist in Housing Credit Management as well as Certified Professional of Occupancy. She holds a Bachelor of Business Administration from The Wharton School of the University of Pennsylvania and has Specialist in Housing Credit Management and Certified Professional of Occupancy certifications from NAHMA.